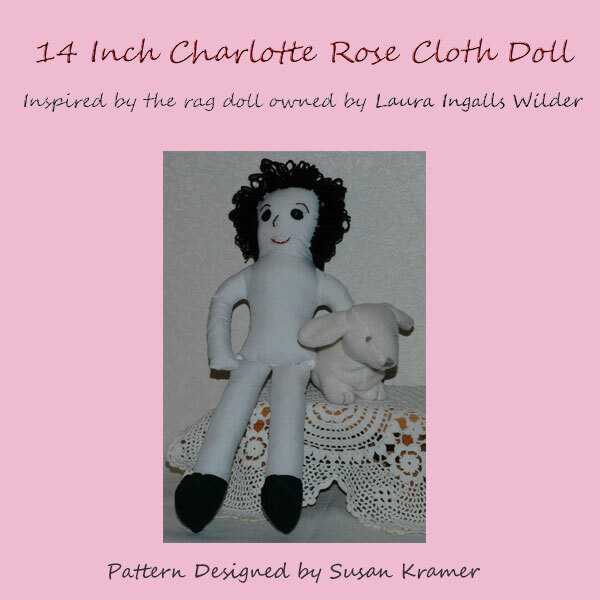 Charlotte Rose face pattern to embroider. Each square is one inch. 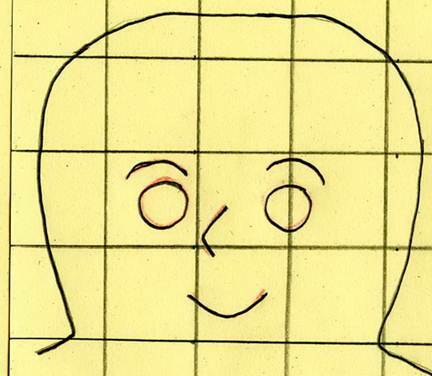 Embroider on facial features before sewing doll body together. Eyebrows, nose and mouth brown; eyes brown, black, or blue. 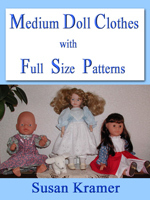 The original doll had button eyes but I feel that is not safe for dolls made for children. After cutting out body pattern, lay open and place front to back. Sew all around perimeter, clip curves. 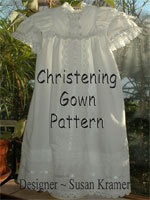 Do not sew across lower body edge so you can stuff tightly with washable filling. I use polyester fiberfill. Use a new unsharpened pencil to help stuff arms. Sew finished legs to lower edge of stuffed body. 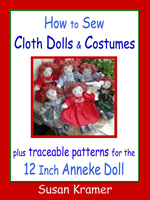 I hand sew doll bodies and their outfits using a single strand of quilting thread. 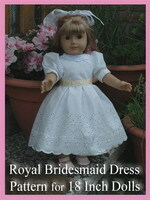 The body of the doll in the photo is made with cotton percale. The leg has a back seam. It wraps around in one piece. Each foot is 2 pattern pieces. Sew them together starting at the front of the foot and almost to the back heel as in blue thread in the photos above. Next, right sides together sew the lower leg on to the foot at top of foot as shown by the white thread in the photos above. 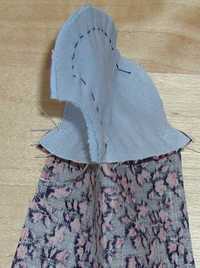 Last, sew the back leg seam together right down to the place where you stopped sewing the 2 foot pieces together. Clip curves, turn right side out using an a new pencil to help. 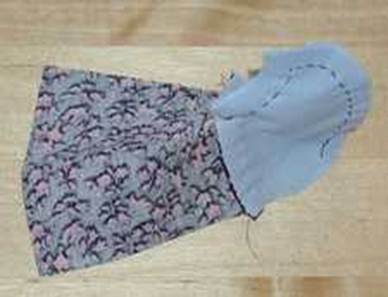 The photo below shows the stuffed legs sewn to the stuffed body. After sewing one leg repeat for the other leg. Finish doll by knotting on a short wig in black yarn. Do not clip loops. Instructions on this page.